Mix it up this summer with the Peony Mixture Super Sak®. This collection features huge 8-inch double blooms in a range of red, white and pink hues. These glorious peonies present an abundance of richly coloured ruffled petals, so fully double they're almost overstuffed. Blooming in early summer, these perennial peony plants grow to 28 to 30 inches tall, a perfect height for cutting gardens. With their rich scent, you'll definitely want to add these to your floral arrangements. Peonies (Paeonia) are extremely low maintenance and can live for decades. Hardy in zones 3 to 8, they require little more than a sunny location with well-drained soil. Plant eye divisions in late summer. When planting, make sure your hole allows enough room for the roots to spread out, with the crown even with the ground level. Space them about 3 to 4 feet apart. Peony flowers are stunning, and their foliage is equally extravagant. 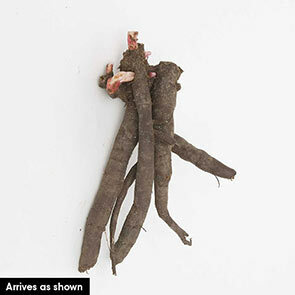 A rich green throughout the summer months, the feathery leaves turn golden or purplish in the autumn. Consider planting peonies in beds with fall-blooming asters and dahlias where the foliage will complement the autumn flowers. Peonies also make a delightful low hedge, especially in areas where their sweet scent can be appreciated. 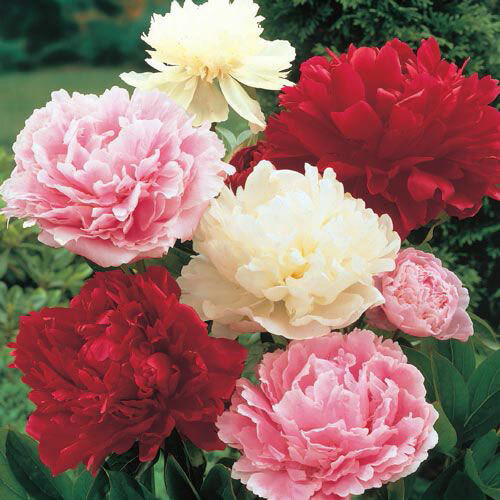 Showcase this lovely peony mixture Super Sak in your garden. Flower Color A mixture of red, white and pink flowers.